This is an Iron Pigs Game. 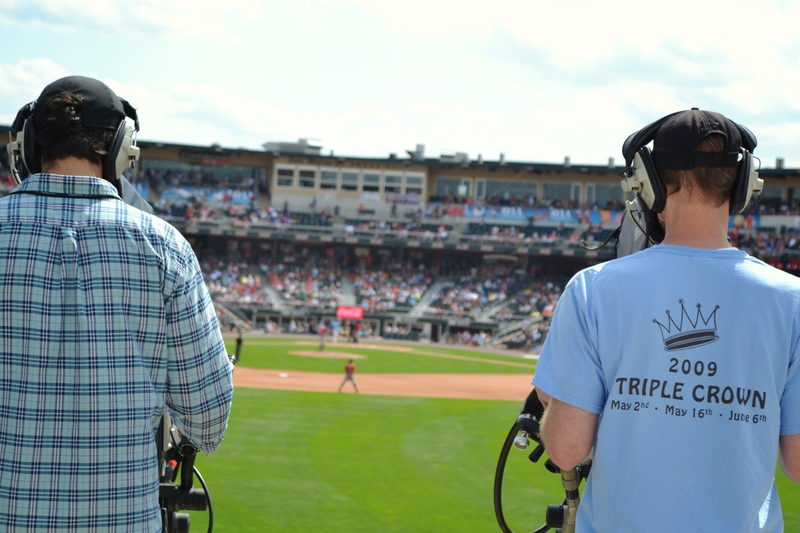 When you move to the Lehigh Valley, the first thing locals adamantly tell you to do is to attend a Lehigh Valley Iron Pigs baseball game. 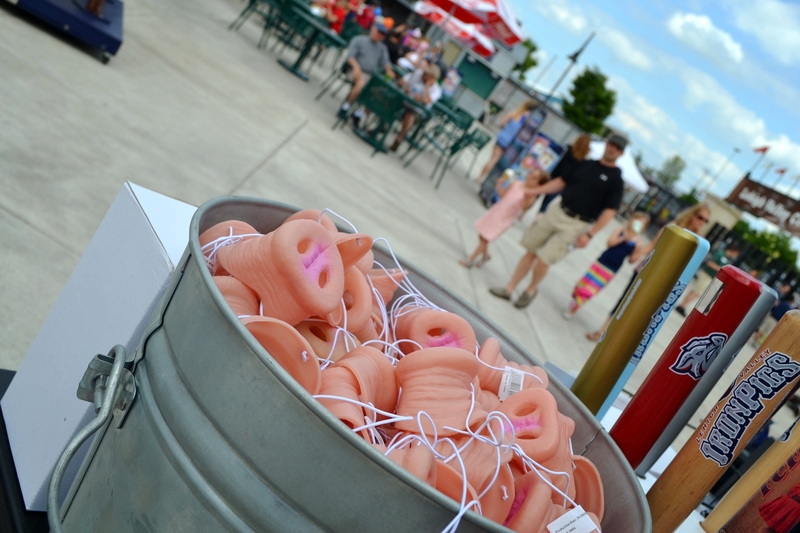 The Iron Pigs are a minor league team and an AAA affiliate of the Philadelphia Phillies. 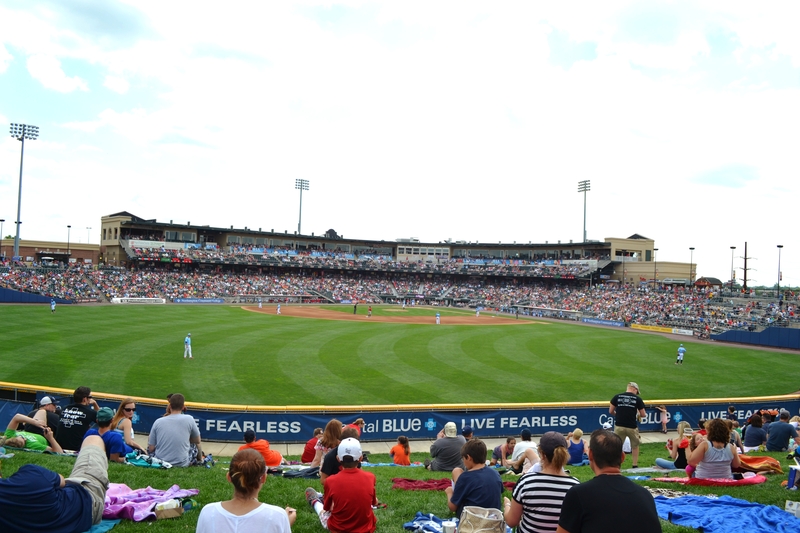 Their stadium, Coca-Cola Park, is the only minor league park to draw 600,000+ fans each season (SOURCE). Everyone preaches how fun and family-friendly the games are and they don’t lie! 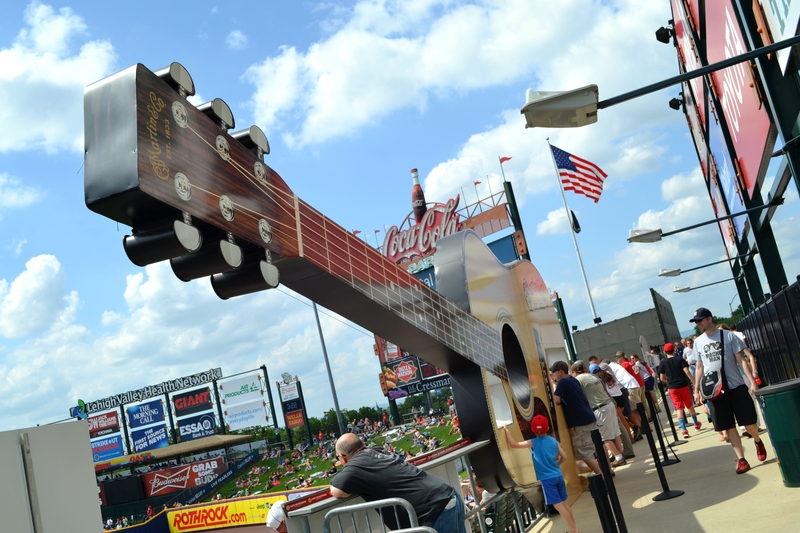 First, the Coca-Cola Park itself is like an amusement park. The outside of the stadium is immaculate – clean and free of trash. A huge Coca-Cola sign looms above the entrance which also has a baseball stenciled on the walkway along with a newspaper container shaped like a baseball with a bat next to it. They also have a bright yellow vintage Coca-Cola truck which is picture perfect! Walking into the stadium it is sensory overload. You see the massive score board with a coke bottle at the top reaching into the clouds that sets off fireworks during the national anthem and night games. You see a ton of brightly colored billboards and pig themed statues. You smell roasted corn, grilled hot dogs, and fried funnel cake. You see the green of the field in the distance and ogle over the frosted cups of beer being carried through the crowd. A band is playing on an elevated platform as everyone scurries to get their snacks before finding their seat. The stadium has a walkway around the entire perimeter of the field with an array of seating and concession stands. 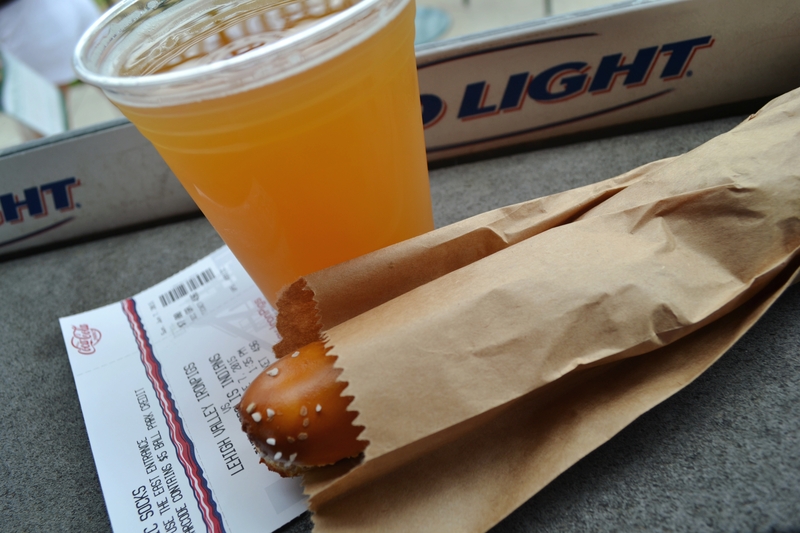 The whole 2015 Concession Guide can be found here (includes a gluten-free stand). A popular stand is Aw Shucks Roasted Corn which sells seasoned roasted corn cobs. 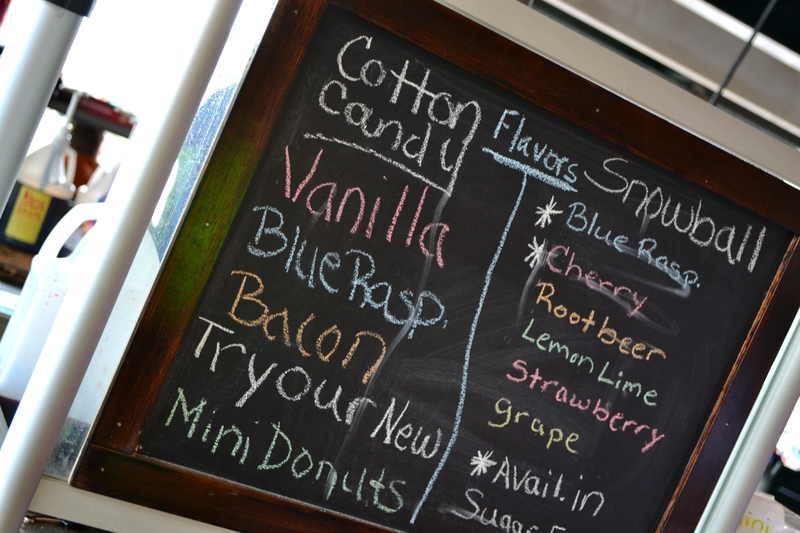 They have a stationary stand at Coca-Cola Park and can also be found at local events and festivals such as Musikfest. The walkway is very local-friendly with a ton of advertisements for local attractions and businesses. A neat advertisement is the one for Martin Guitar. A huge guitar, with strings and all, it set on the sidewalk with holes to stand and watch the game through. The kids will also have a great time on the walkway as Red Robin sponsors a play place with inflatable moon bounces and a playground. 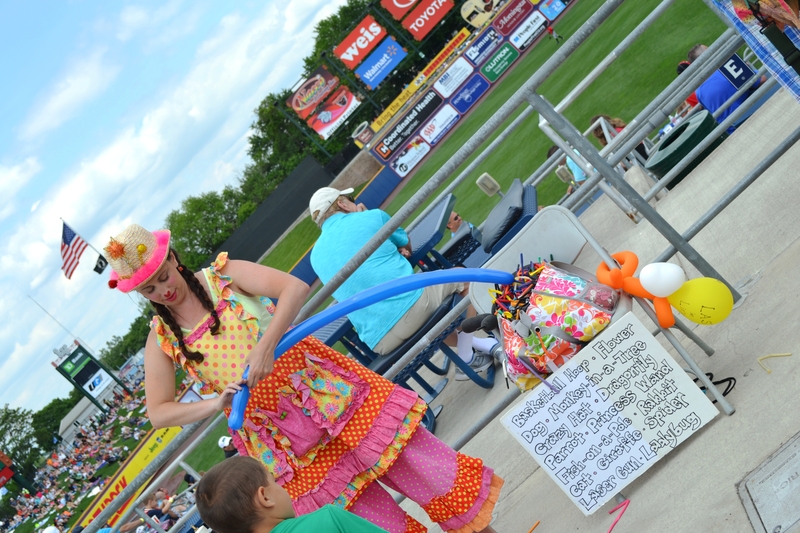 Outside of the play place there is a photo stand with the Iron Pigs mascots, face-in-the hole cutout, a pitching game, and clowns making free balloon animals. Many kids were toting balloon fishing rods complete with a fish attached! All of this surrounds the main entertainment – the game! 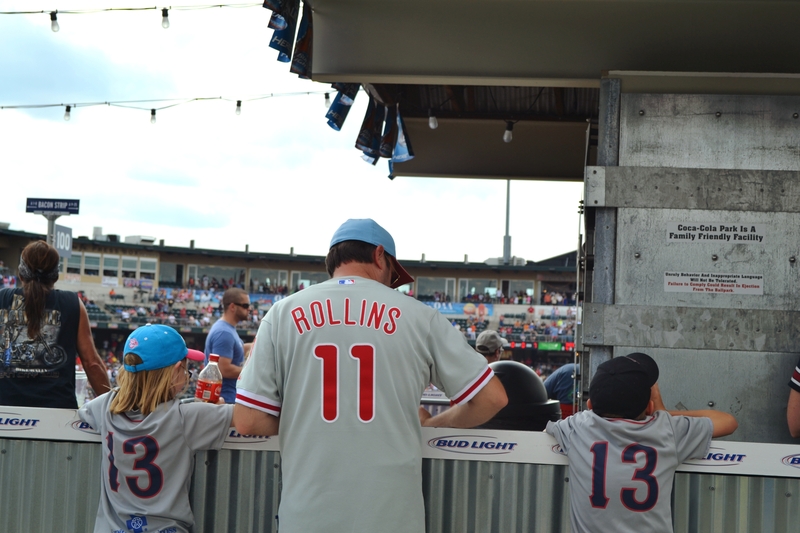 This goes to show you that you don’t have to be a baseball fan to have a great day out at the ole ball game. Bring cash – parking is $5.00. Pre-buying tickets saves you at least $2.00 per ticket for general admission. General admission tickets – you can pay a $1 extra and you will receive $5.00 towards concessions as a scan-able UPC on your ticket (alcohol included – excludes Aw Shucks Corn and Philly Pretzel Factory). No outdoor food and drink allowed.